The final musical written by storied duo Richard Rodgers and Oscar Hammerstein, The Sound of Music was an instant hit at its Broadway premiere in 1959. A fictionalized take on Maria von Trapp’s memoir about her family’s beginnings as the Trapp Family Singers, The Sound of Music is known to most as the 1965 film adaptation starring Julie Andrews, and has cemented itself into the collective consciousness with famous songs including “Do-Re-Mi,” “Climb Ev’ry Mountain” and “So Long, Farewell.” Set at the cusp of the Anschluss (which marked Nazi Germany’s annexation of Austria), the von Trapp children are introduced to their new governess, Maria Rainer, whom they take to immediately. 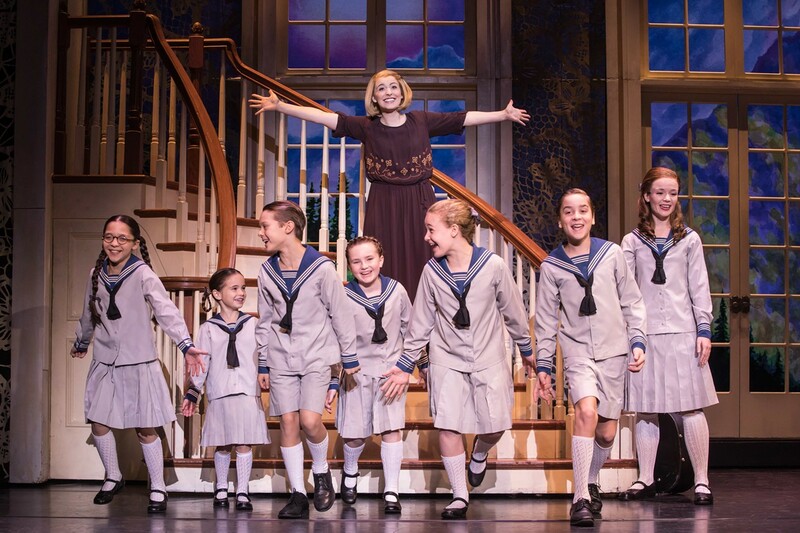 Maria bonds with the children as well as their father, forming a newfound family unit as well as a talented musical group, but under the threat of a forced commission to the German navy, the von Trapps must plot their escape from Austria’s Nazi regime. The Tony award-winning production team behind the musical’s latest tour has reminded audiences nationwide why The Sound of Music became and remains a timeless example of American musical theater.